Barnes & Noble released their quarterly earnings earlier this week. While the company's revenues picked up over the previous quarter, it was still the third straight quarter ending in a net loss for Barnes & Noble. To stop some of the bleeding, the company announced it would no longer produce its Nook tablet devices in-house, and instead co-brand with a third party manufacturer. A little history on the Nook. Following Amazon.com's release of its Kindle ebook reader in late 2007, Barnes & Noble -- the largest brick-and-mortar book retailer in the U.S. -- followed up with its own ebook reader in 2009. These early devices sported 6" black-and-white e-ink screens, with the Kindle featuring a QWERTY keyboard and the Nook featuring an expandable memory slot and a small color touchscreen for navigation. 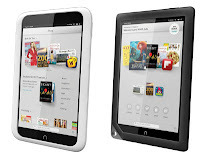 Arriving two years late, the Nook was never able to garner more than 25% of the total market share for ebook readers. 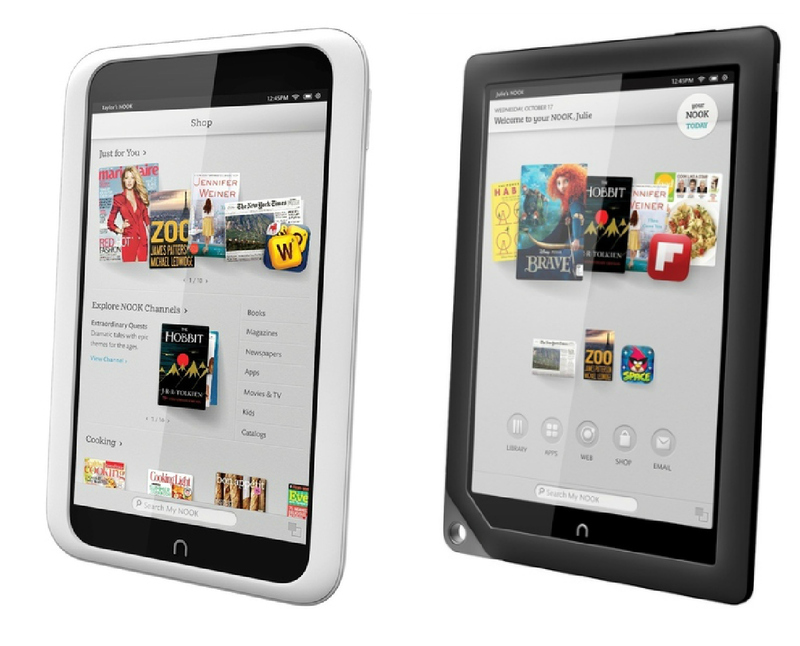 Following the launch of the iPad by Apple, Barnes & Noble launched the Nook Color 7" tablet in 2010, with Amazon following up with the Kindle Fire in 2011. Further tablets from both manufacturers have since followed. Barnes & Noble has specified that these manufacturing changes will only affect the company's tablet devices, a list that currently includes the Nook HD 7" tablet, and the Nook HD+ 10" tablet. The company's traditional e-ink devices, the Nook Simple Touch and the Nook Simple Touch with GlowLight, will continue to be manufactured in-house. The outsourced manufacturing strategy is certainly not a new one, but working with existing manufacturers in the market is a bit of a twist, though other companies have done it before. Google is a master of it. Google has maintained a line of Nexus devices, branded as their own, but none of which are manufactured by the company. Its trendsetting Nexus 7 tablet is manufactured by ASUS, and the Nexus 10 is manufactured by Samsung. Its line of Nexus smartphones have been manufactured by HTC, Samsung, and LG. Differing slightly from Google, who uses devices developed especially for them by major market players and sells them under the Google banner, Barnes & Noble will be co-branding the devices, meaning the manufacturer's name will appear along with B&N's. Given that the company has Nook apps for iOS and Android -- thus rendering any tablet a Nook of sorts -- its given strategy is questionable. These co-branded devices will have to establish a foothold in the market by being unique or cheap. Given the company's current financial woes, cheap might not even be an option.